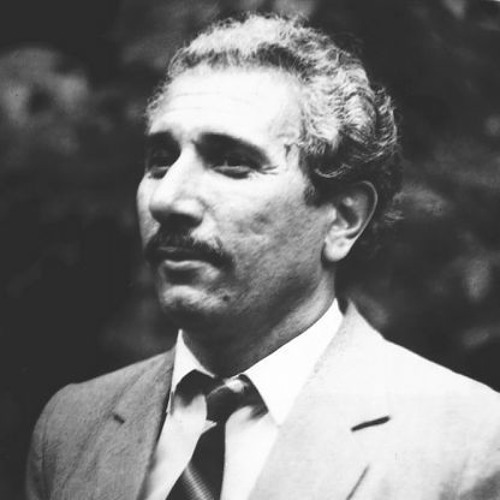 Vladimir Khatizovich Baragun(ov) (Бэрэгъун Владимир) (31 December 1939 — 13 October 1997), Kabardian singer, musicologist, People’s Artist of the Kabardino-Balkar ASSR (1981), Honoured Cultural Worker of the Russian Federation (1996), and Laureate of the State Prize of the Kabardino-Balkar Republic. In 1969 he graduated from the Sobinov State Conservatory in Saratov. 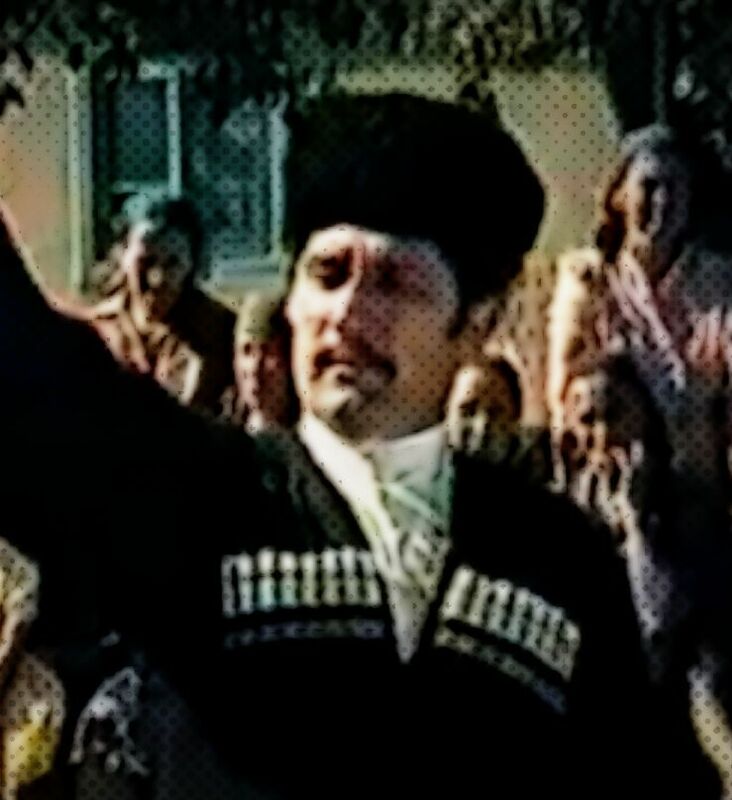 From 1969 to 1977 he was a soloist for the Kabardino-Balkar Theatre. He sang 19 opera-roles. He recorded hundreds of songs, ballades, romances for radio and television and on disc. He was awarded the ‘Golden Hatchet’ (highest grade) at the International Folklore Festival in Poland. 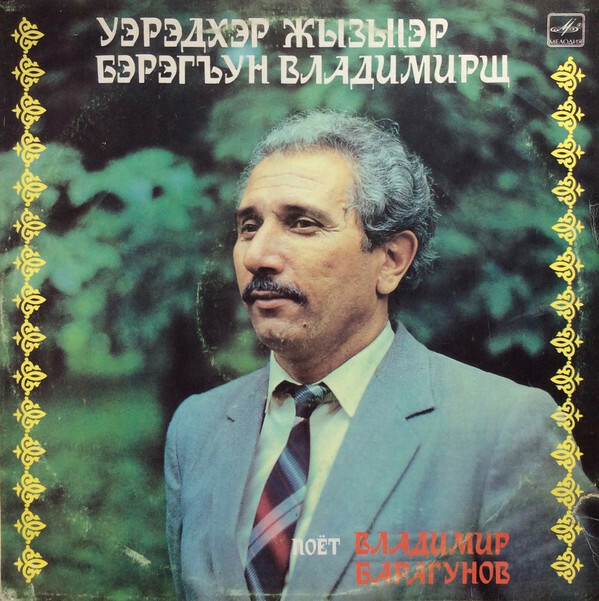 He was one of the authors of the 3-volume ‘National Songs and Instrumental Works of the Circassians’, which has become a classic of Circassian musical folkloristics. Soloist and artistic director between 1977 and 1987 at the Kabardino-Balkar State Philharmonia, he served as its director between 1987 and 1997. 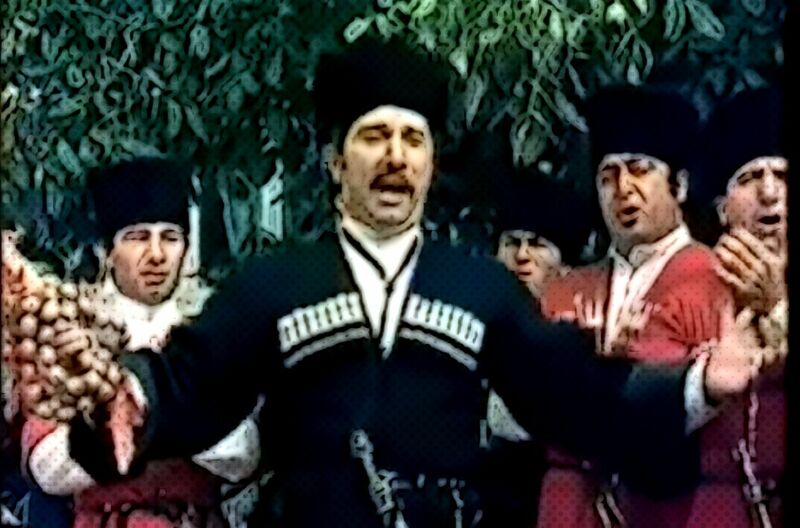 He was one of the best singers of the 1970s and 80s in Circassia. Although he recorded many fine and memorable traditional and modern songs, his powerful operatic voice was best suited to ancient anthems. He documented and recorded a number of Pantheonic chants, including ‘Mezguashhe’ («Мэзгуащэ»; ‘Forest-Lady’). His wide Nart repertoire included an emotive rendering of ‘Nartizch Wered’ («Нартыжь Уэрэд»; ‘Song of the Ancient Narts’), which causes tingling sensations in the back of one’s head, ‘Ashemez yi Pshinalhe’ («Ашэмэз и пшыналъэ»; ‘Ashemez’s Melody’), ‘Badinoque yi Pshinalhe’ («Бэдынокъуэ и пшыналъэ»; ‘Badinoque’s Melody’), ‘Sosrique Maf’e Qeih’ («Сосрыкъуэ МафIэ Къехь»; ‘Sosrique Fetches Fire’), and many others. His heroic/historical repertory included ‘Senjeley yi Wered’ («Сэнджэлей и уэрэд»; ‘The Song of Prince Sanjalay’), in which he evokes the heroism of the mediæval prince-warrior. 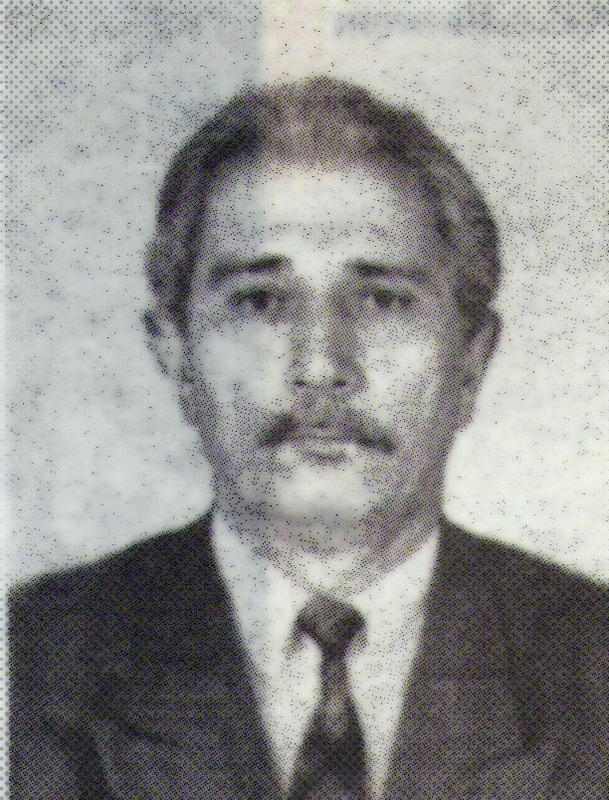 Бэрэгъун Владимир (1939-1997) Адыгэ уэрэджыIакIуэ цIэрыIуэхуэм я нэхъыщхьэу еплъытэ хъунущ. Абы и макъ гъуэзэджэ лъэщгуэрэм удихьэхауэ уодаIуэ. Абы игъэзэщIат пасэрей нарт уэрэд зыбжанэ, псалъэм папщIэ «Ашэмэз и пшыналъэ», «Нартыжь Уэрэд», «Бэдынокъуэ и пшыналъэ», «Сосрыкъуэ МафIэ Къехь» жыхуиIэ уэрэдхэр. ЛIыхъужьыгъэ теухуа уэрэд куэд зыгъэзэщIа Бэрэгъуным, псалъэм папщIэ Пщы Сэнджэлей (Жылэгъуэт Идар и къуэ Къанкъылыш и къуэщ) зи гугъу ещI уэрэдым «Сэнджэлей и уэрэд». 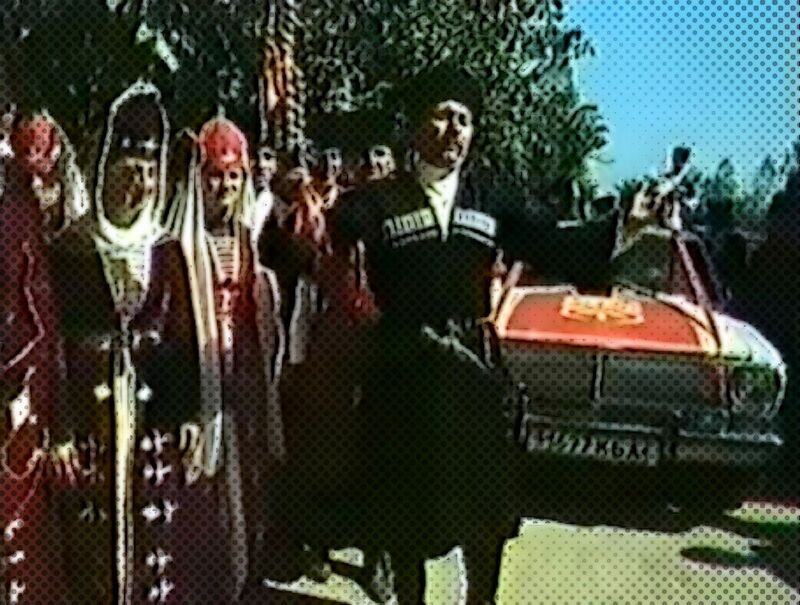 Documentary film "Wedding on/beside the in Terek" («Свадьба на Тереке»), on traditional Circassian wedding ceremonies, shot in the Terek District of Kabardino-Balkaria and produced by the famous Circassian director and producer Vladimir Verokua (Вэрокъуэ Владимир) in 1985. 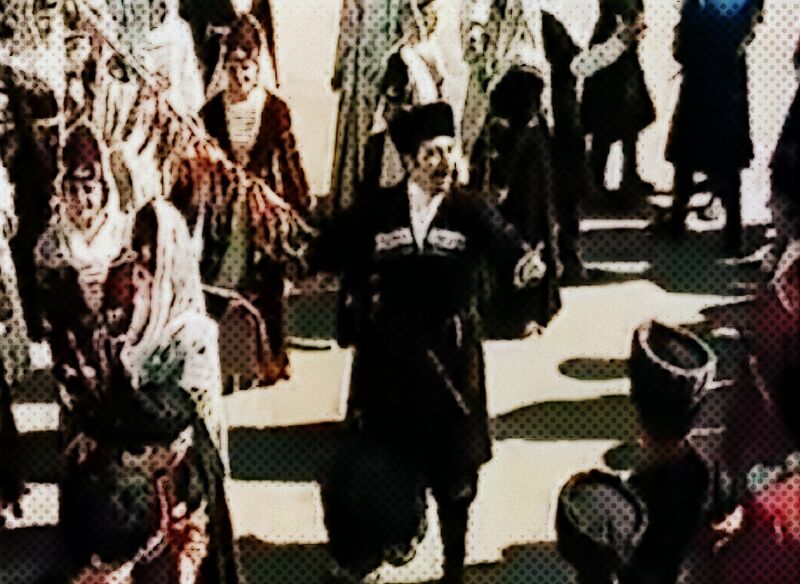 Traditional Kabardian (East Circassian) wedding ceremonies are enacted by the Kabardinka Academic Dance Ensemble, with Vladimir Baragun (Бэрэгъун Владимир) acting as the "hatiyak'ua" [«хьэтиякIуэ»], the master of ceremonies, and majestically performing the wedding songs and chants. "Vladimir Baragun had an unusual baritone voice and possessed an extensive repertoire of both old and contemporary songs. He adored his Circassian people and always took part in events in his natal Republic of Kabardino-Balkaria, especially linked to the tragedy of the Circassian people during the 100 Year War in the Caucasus, which resulted in the extermination and exile of the Circassian people." 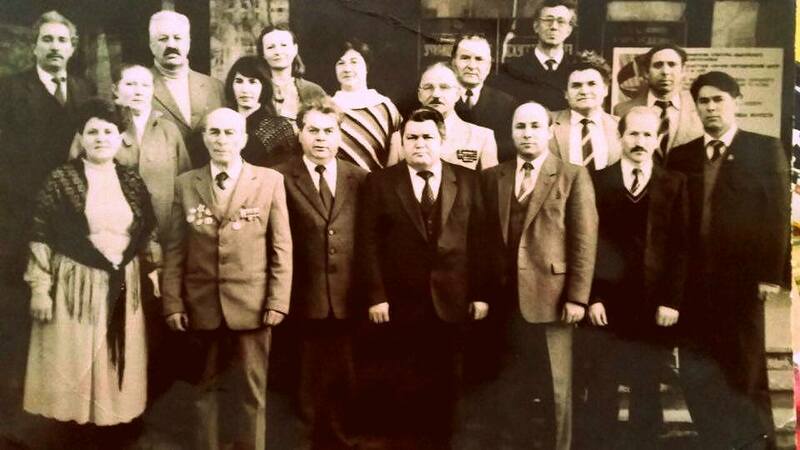 "Vladimir Baragunov was a prominent figure in the Circassian world. 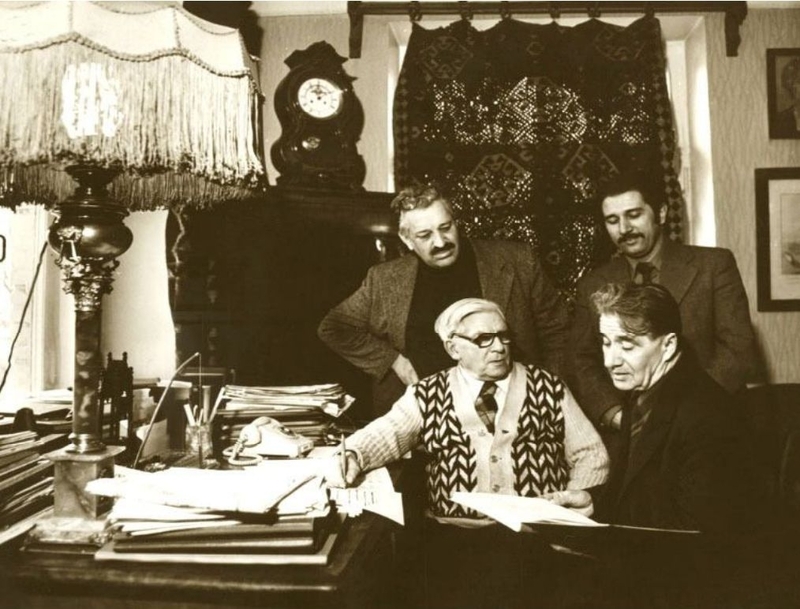 His annotated musical texts are a monument for traditional Circassian music. He was a fine singer. 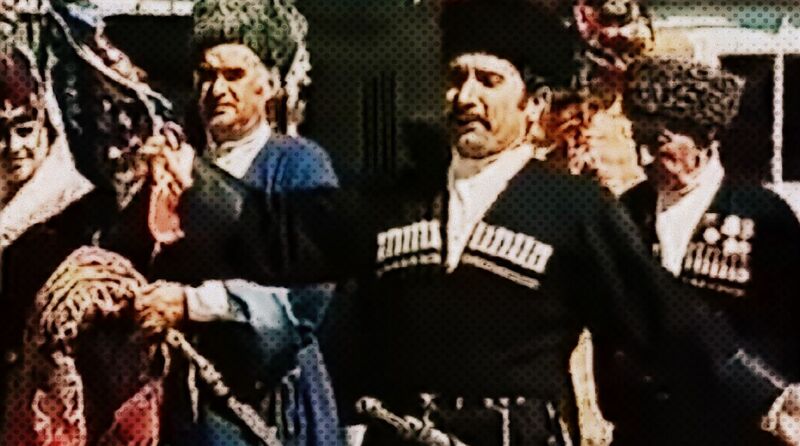 However, in the history of Circassian musical culture he will be primarily remembered as the author of the multi-volume 'Circassians Folk-songs and Instrumental Tunes'." "Vladimir Baragun was an accomplished singer, he collected, performed, and published Circassian folk songs. He was a kind and good-hearted person, a role model of a true Circassian man. God bless him." "Vladimir Baragunov had little choice but to conform to a Soviet Estrada aesthetic. It is a huge tribute to his talent and commitment that within the confines of that aesthetic he succeeded in preserving much of the authentic spirit of Circassian traditional music, both as collector and singer. Without his pioneering advances much of the post-Soviet revivalist enterprise would have been all but impossible." "I have highest respect for Baragun. An honorable elder, he has become a part of our Circassian singing cultural history. In my opinion, nobody else created such beauty as he did! For example, he collected Circassian folk songs and edited them, so that they would fit what today we consider as "classical" instruments as well as the Circassian song mentality! Furthermore, he performed those songs with his gorgeous unique voice! Vladimir Baragun will always occupy the most honorable place in my thoughts! God bless his soul! And let us to benefit from his happy legacy!" This web site is dedicated to Vladimir Baragun(ov), one of the greatest Circassian singer and folklorists. My aim is to collect all of his songs in on place as well as articles and visual information about him. If you have anything you would like to add/provide, please feel free to contact me.